Bet the last time you baked brownies you didn’t know there’s one out there that fetches $1000. Sold at Brule, in Atlantic City, NJ, the brownie is made of dark chocolate, covered in Italian hazelnuts and served with ice cream. Sounds like an $8 dessert, right? Not when it’s served with the very rare Quinta do Novel Nacional from Portugal, a port wine that’s served in a St. Louis crystal atomizer on the side. Leave it to Serendipity 3 to take the classic chocolate sundae to the next level. Created in celebration of the restaurant’s 50 year anniversary, the world’s most expensive sundae comes with 5 scoops of Tahitian vanilla bean ice cream that’s mixed with Madagascar vanilla and Venezuelan chuao chocolate. 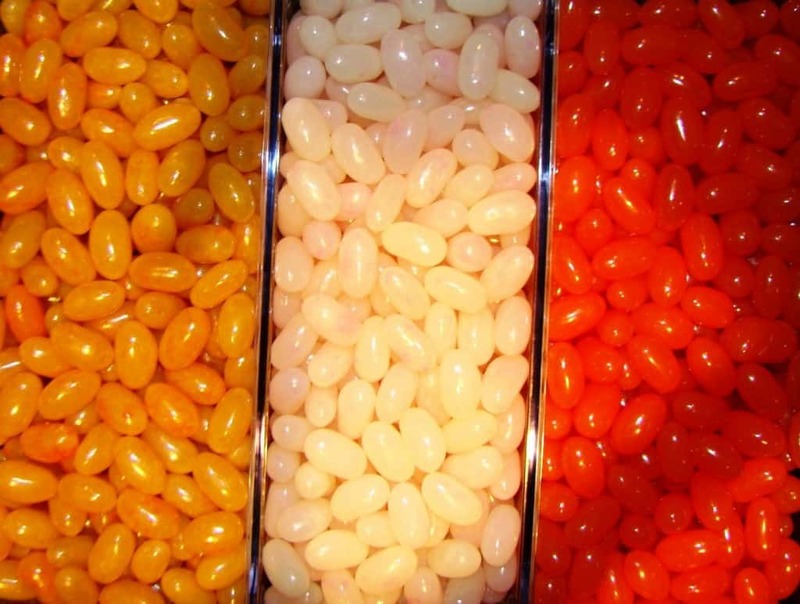 Inside you’ll find gold dragats, Parisian candied fruits, marzapan cherries and truffles. 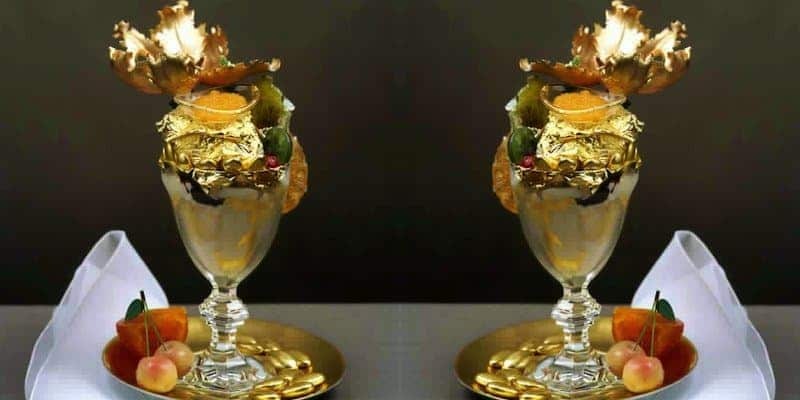 Topped with 23-carat edible gold leaf and a drizzle of one of the world’s most expensive chocolates, Amedei por celana, and an Israeli sugar flower, the high-priced sundae is served in a crystal goblet and you’ll get an 18-carat gold spoon to gobble it up. Hungry yet? In the mood for gold? You can have it, but it won’t last long. 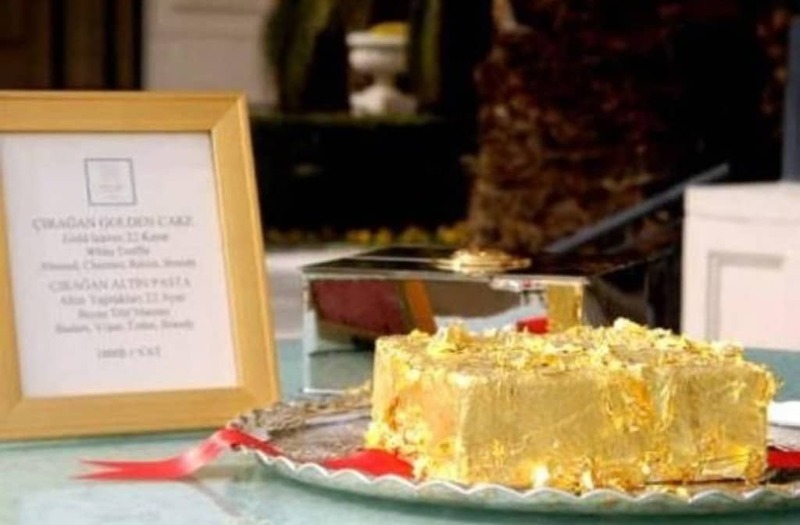 At Cirigan Palace Kempinski Hotel in Istanbul, this gold cake is made of figs, pears, apricot and quice. The ingredients are put in Jamaican Rum and soaked for two years. 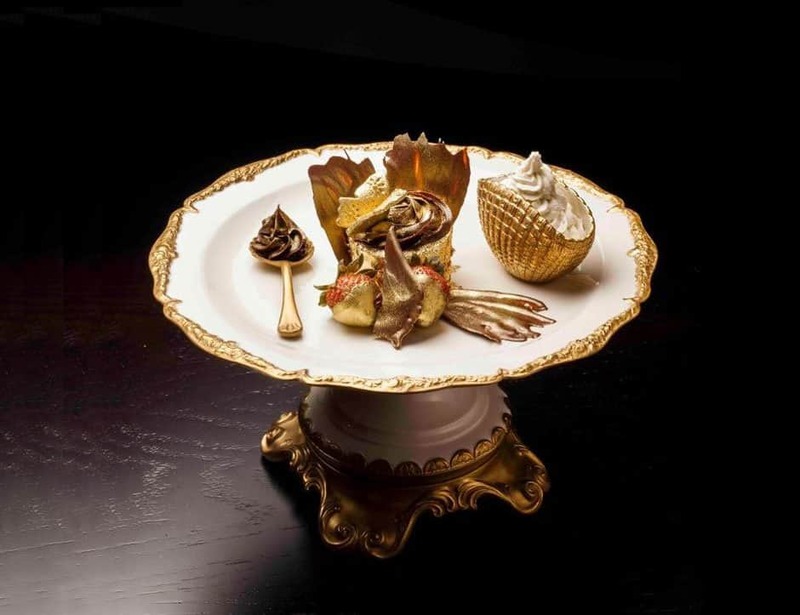 Upon serving, it’s topped with French Polynesia vanilla bean, caramel, black truffles and 24-carat gold leaf. 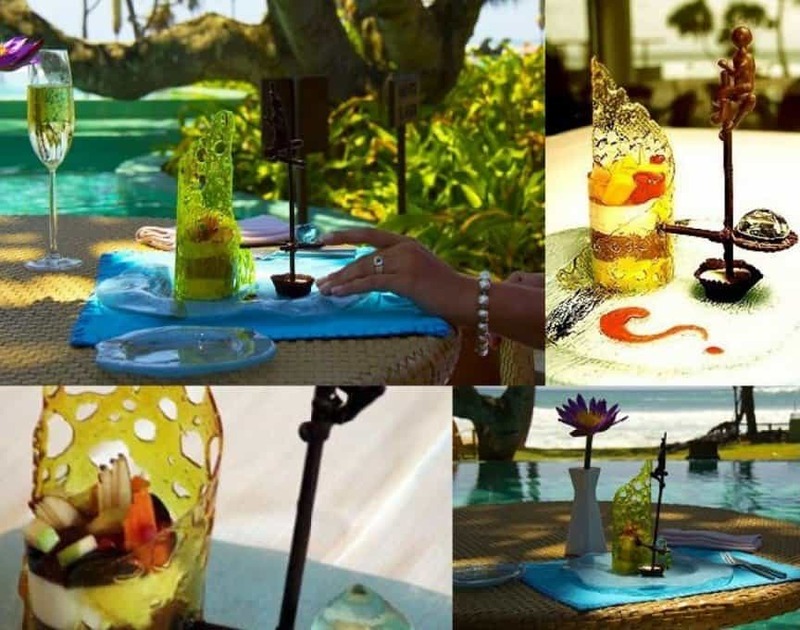 The dessert takes 72 hours to prepare and is available by special request. Dubai is known for everything over-the-top so it should come as no surprise that there is a $1,000 cupcake for sale in the city. Bloombury Cupcakes make a cupcake with super expensive Amedei Porcelana chocolate and vanilla beans from Uganda. 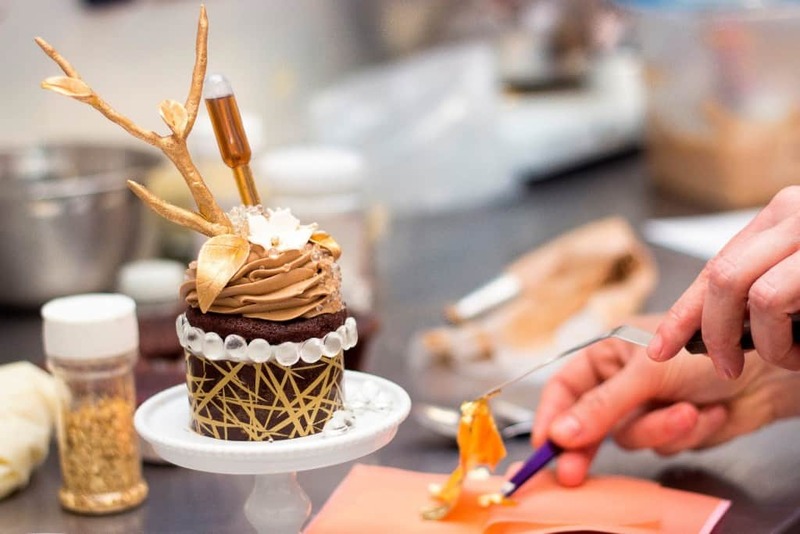 It’s topped with chocolate frosting and edible gold dust, and served with chocolate covered strawberries and a golden spoon. The only good side of forking over $1,682 for donuts, and getting one instead of a couple of thousand, is that your waistline will be very happy. 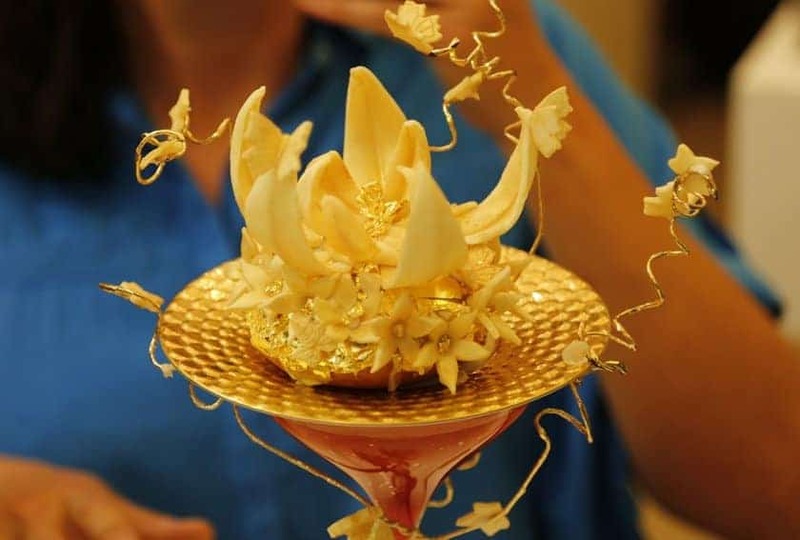 Still, $1,682 for one donut… But it is filled with champagne jelly, white chocolate flowers dusted in gold, edible diamonds, 24-carat gold leaf and a side cocktail. The redeeming factor? It’s absolutely gorgeous and some of the proceeds go to charity. 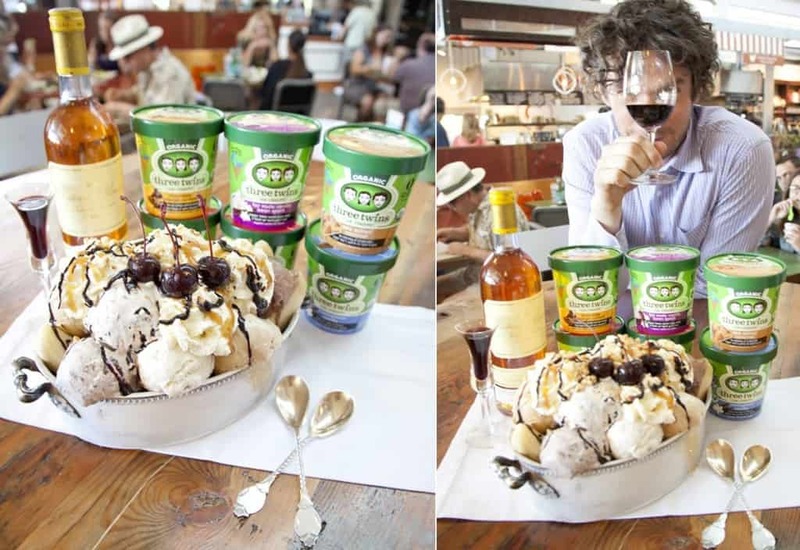 At Napa’s Oxbur Public Market, there’s a $3,333.33 ice cream sundae for sale, by Three Twins. It’s topped with syrups made from reduced rare dessert wines and if you order ahead of time, they’ll also have a live cellist play for you while you devour it. Usually you can get a macaroon for a few bucks, but if you’re talking about flavors such as white chocolate hazelnut truffle and candied chestnut creme, you’d expect to pay a little more. 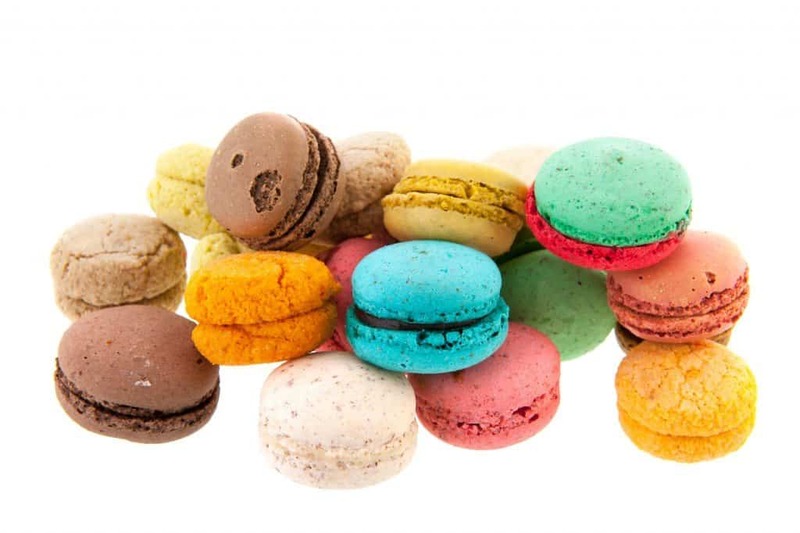 However, Pierre Herme has taken the macaroon to a different level with his Haute Couture macaroons, which begins with a private interview with the chef and followed with custom created recipes for the customer that forever remain their property. One box of Haute Couture can cost as much as $7,000. The Fortress Stilt Fisherman dessert at Wine3 restaurant in Sri Lanka, pays homage to the Sri Lankan tradition of stilt fishing. Chocolate, exotic fruits, Irish Creme and extreme artistry are used to create it, but the price tag is reflected in the 80-carat aquamarine that is used to complete the chocolate carved fishman’s stilt. Want a new car or a sundae? 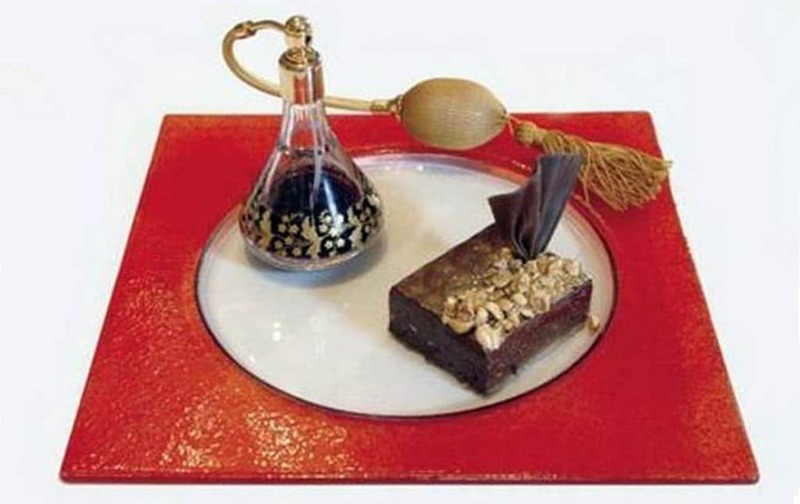 Another from Seredipity 3, this unforgettable dessert has cocoa from over 14 countries and 5 grams of 24-carat gold. It’s topped with whipped creme and La Madeline au Truffle shavings. 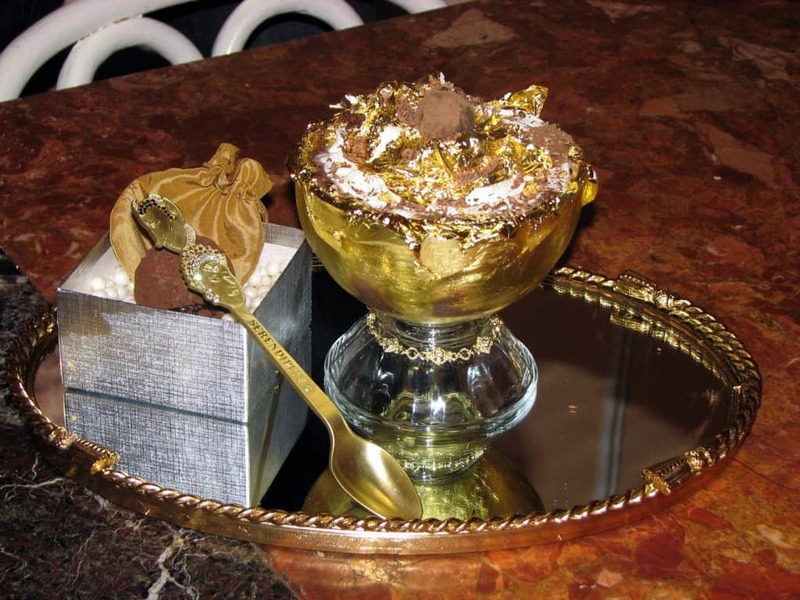 You’ll get to eat it out of a gold-banded, diamond encrusted goblet with a gold spoon that you’ll get to take home. Unfortunately the spoon doesn’t have wheels. This chocolate cake is made by chef Marc Guibert, and served at the Lindeth Howe Country House Hotel in England. 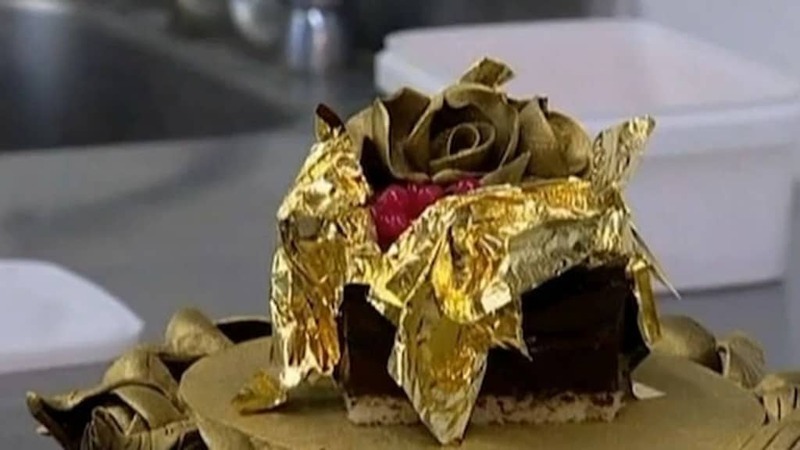 What in the world do you get for a piece of $35,000 cake, you may wonder? 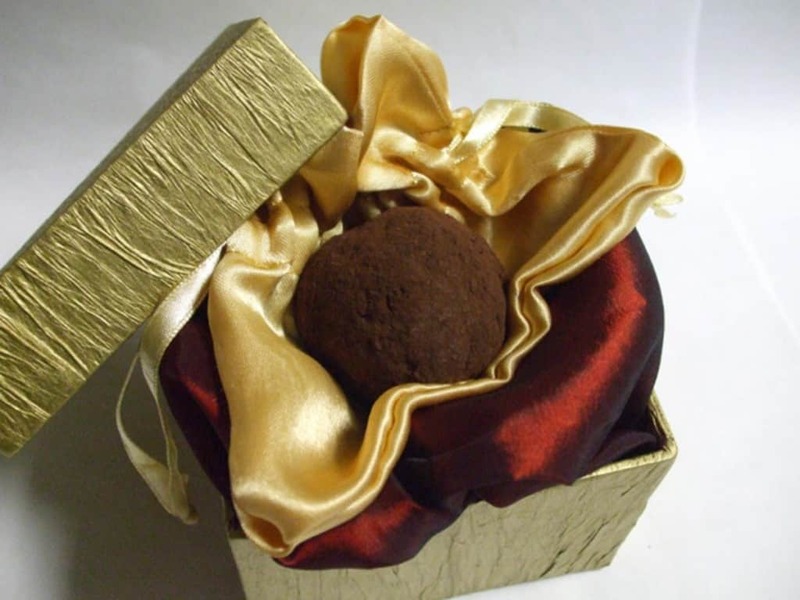 One made from champagne jelly, biscuit joconde, 4 types of Belgian chocolate, and the finest chocolate and gold caviar. Oh, and it’s topped with a 2-carat diamond. 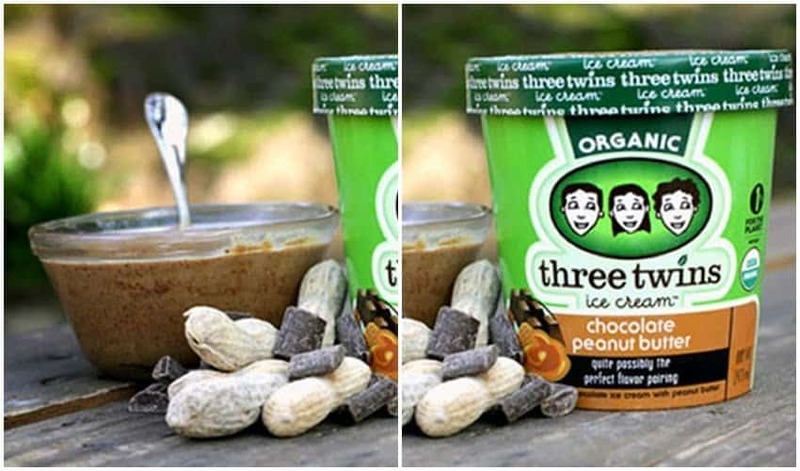 Three Twins Ice Cream, at Oxbow Public Market in Napa, makes the list again. This time, it’s for their $60,000 sundae. The owner will fly with you to Mt. Kilamanjaro and hand churn a batch made from glacial ice right on the summit. 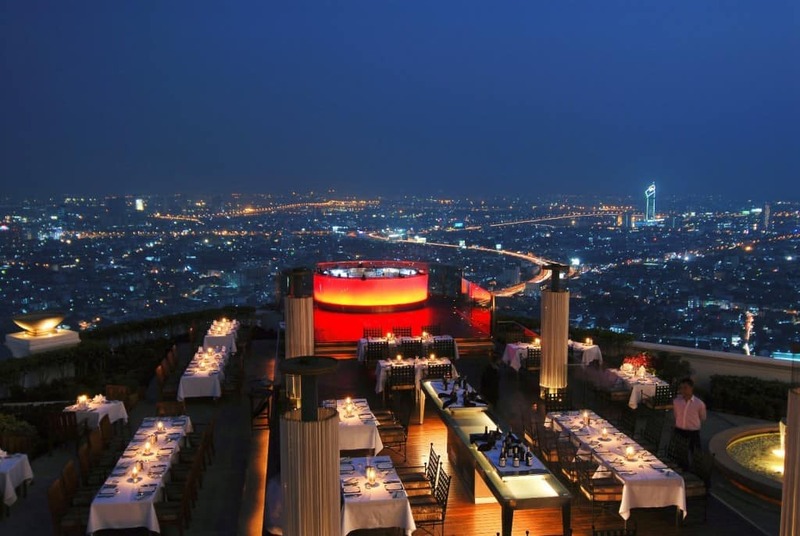 In addition, you get first class airfare to Tanzania, 5-star accommodation and a guided tour. Oh, and as much glacial ice cream as you can stomach.